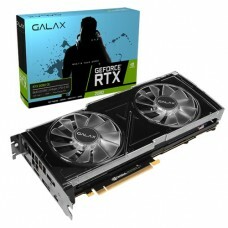 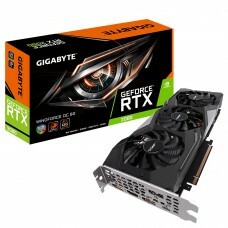 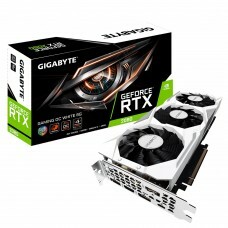 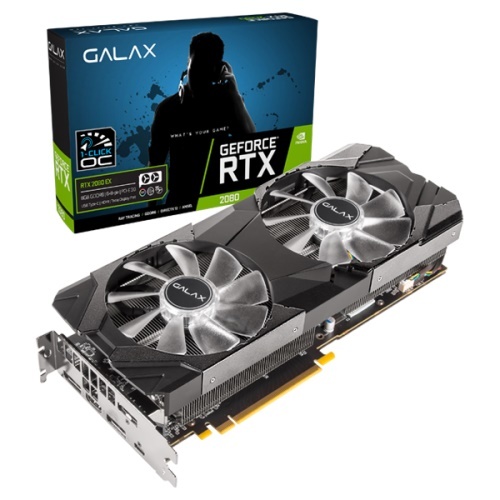 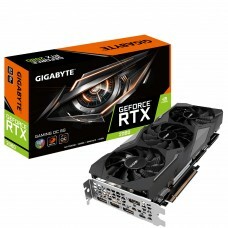 GALAX GeForce RTX 2080 EX (1-Click OC) 8GB GDDR6 256-bit DP*3/HDMI/USB Type-C.Equipped with 100 mm twin fans and 5 high performance composite heat pipes, it can transfer much higher powers for a given temperature gradient than the best metallic conductors. 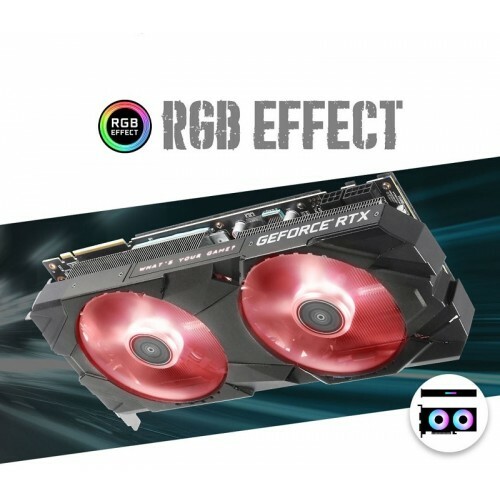 Our customized strong stamped aluminum back plate matching the color theme of the EX graphics card. 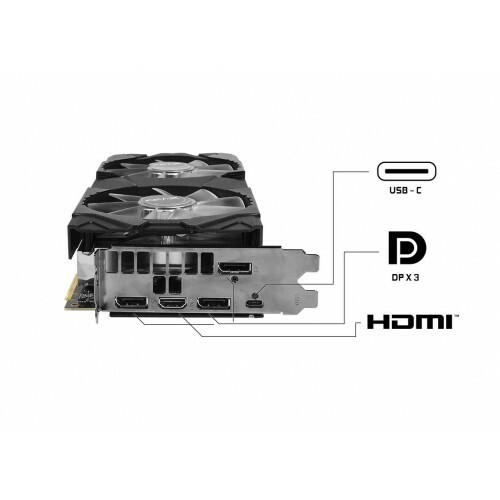 Assists components cooling while provides added strength to the PCB.